As summer draws to a close, we look at the most in demand labour hire jobs coming up this Autumn. January and February have been busy months in the Hunter office, we welcomed two new members to the Hunter team and have continued to build on the great year we had in 2018. We are excited to see what 2019 has in store for us. 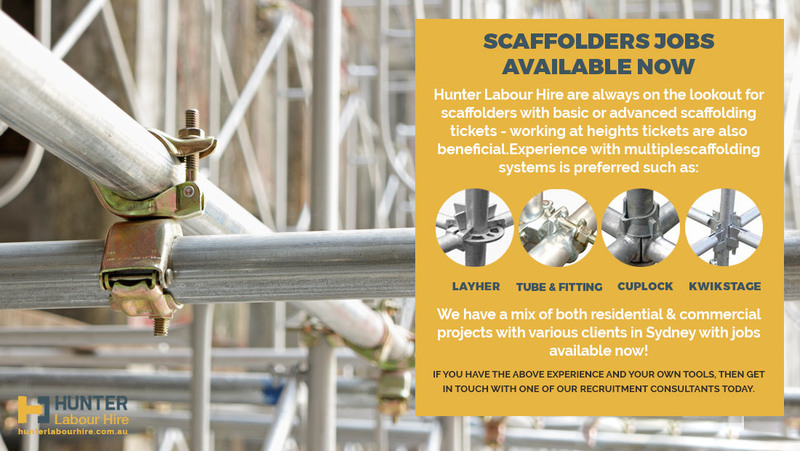 Hunter Labour Hire are always on the lookout for scaffolders with basic or advanced scaffolding tickets. Working at heights tickets are also beneficial. Experience with multiple scaffolding systems is preferred such as Layher, Kwikstage, Cuplock and Tube and Fitting. We have a mix of both residential and commercial projects with various clients in Sydney. If you have the above experience and your own tools, then get in touch with one of our recruitment consultants today. 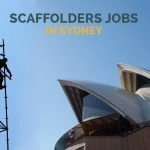 Hunter Labour Hire work with a lot of scaffolding companies throughout Sydney and are looking for scaffold labourers to assist on these projects. We are looking for scaffold labourers who are familiar with the relevant components and can carry more than 1 ledger at a time. You would need to have worked with multiple systems and be reliable and hardworking so if that sounds like you, then get in touch! A good skilled labourer is worth their weight in gold and we have numerous vacancies for skilled labourers. Now I don’t just mean someone who has picked up a jackhammer once or has previously worked on his Uncle’s house for 2 days in the summer. We are looking for skilled labourers who have helped multiple trades on site can use all tools and won’t turn their nose up if they need to do a bit of site cleaning. 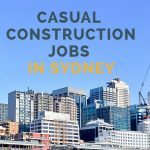 We have sites all over Sydney from the Northern beaches down to the Sutherland Shire with jobs available for skilled labourers with a minimum of two years’ experience. Plumbers are in demand whether you are whizz with rough in’s or stack work is your thing then we want to hear from you! 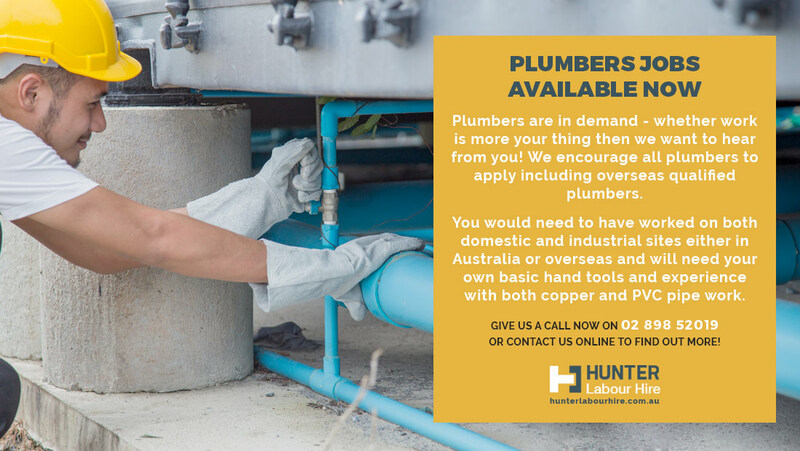 We encourage all plumbers to apply including overseas qualified plumbers. You would need to have worked on both domestic and industrial sites either in Australia or overseas and will need your own basic hand tools and experience with both copper and PVC pipe work. 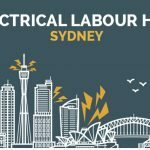 These are just a few of the labour hire job vacancies we currently have you can check the rest of them out and apply directly from our labour hire jobs board. 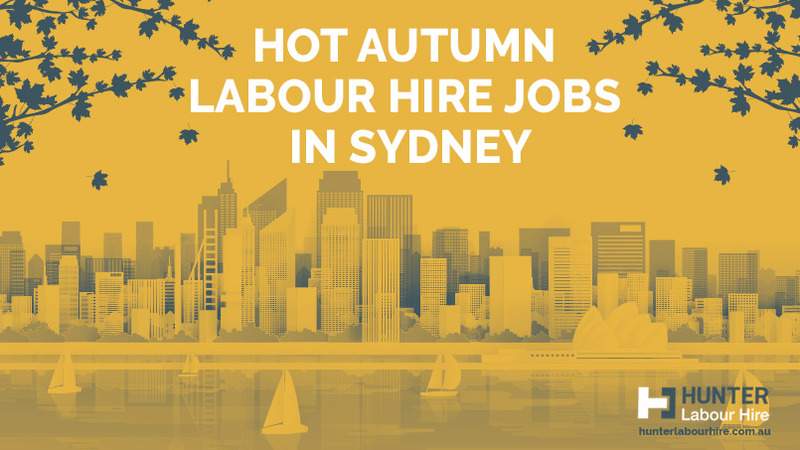 Alternatively please send your resume to jobs@hunterlabourhire.com.au and one of friendly recruitment consultants will be back in contact with you soon to discuss job openings.